MoMA Exclusive: These cards feature a reproduction of Untitled (Mrs. Claus), a photograph from 1990 by Cindy Sherman, an artist represented in MoMA’s collection. Set of 12 note cards with white envelopes, blank inside. Printed in the USA. Limited availability. Since the 1940s, MoMA has produced an annual line of holiday cards designed by emerging and established artists, some of whom are featured in the Museum’s collection. The MoMA Holiday Card Program featured such well-known artists as Robert Indiana, Andy Warhol and Alexander Calder before they were household names. 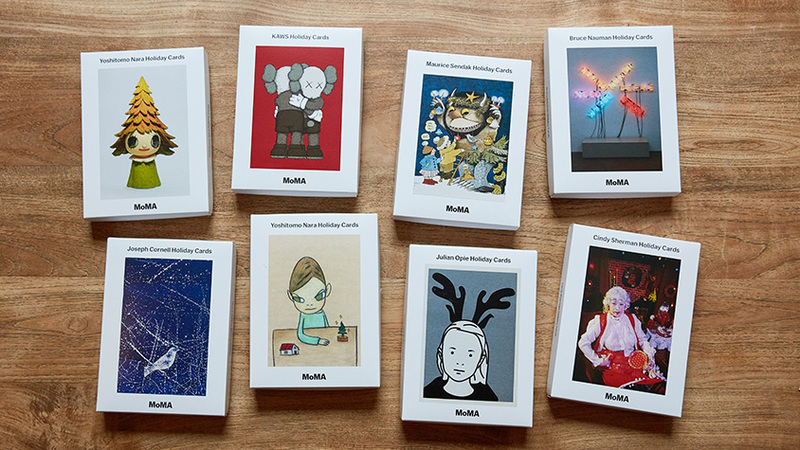 In celebration of our rich history of collaborating with artists on holiday cards we've brought back some original commissions from our archives featuring work from MoMA's collection, and launched some brand-new artist cards, including a commission from KAWS. Available in limited quantities.